Being a member of the Rotary Club of Bendigo South is a very rewarding and positive experience. Please contact the Club and come along as our guest one Thursday, and find out if our Club is the right fit for you. Our Club has a diverse membership, with men and women of all ages and backgrounds making up our membership. 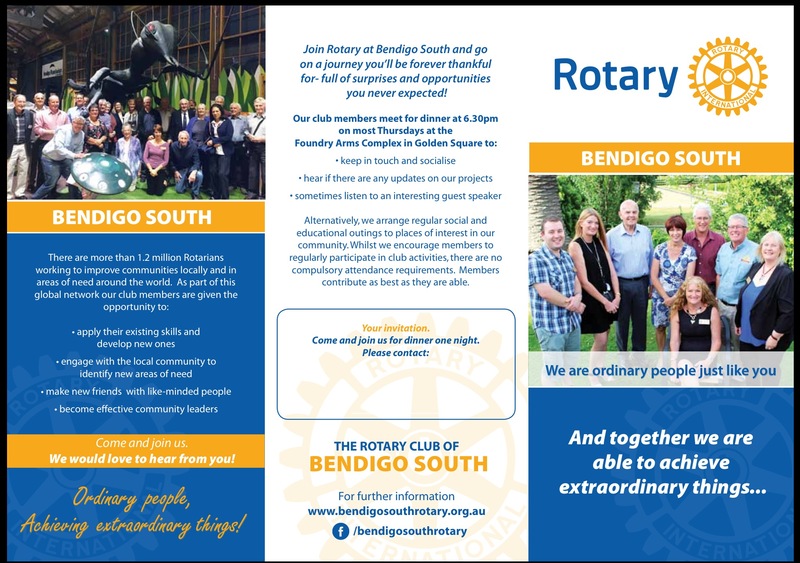 With flexibility in membership options, your membership of Rotary in the Bendigo South Club is what you make of it. We also offer a Friends of Rotary program as well, for people who may feel that that is the best form of membership for them at this point in time. Either way, there’s never been a better time to join the Rotary Club of Bendigo South and give back to your local and international community, all while making new friends at the same time. Can you see yourself in amongst this lot? 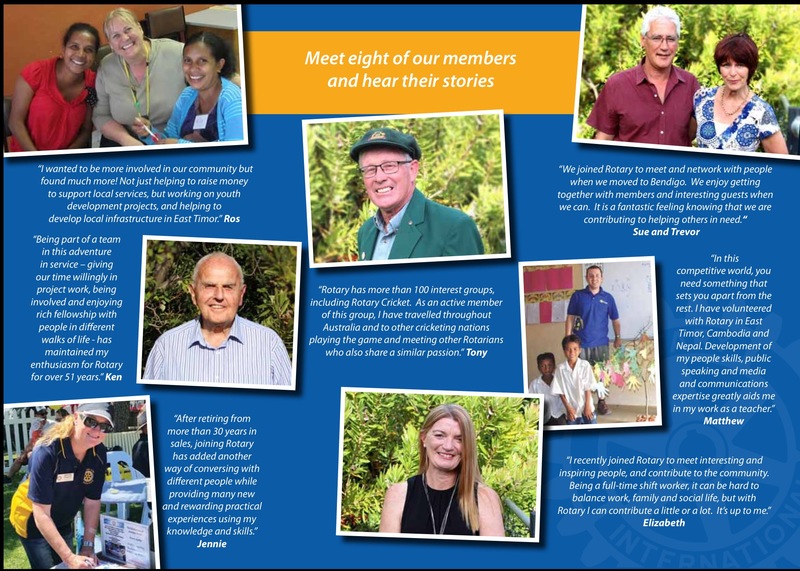 Members of the Rotary Club of Bendigo South come from a wide variety of backgrounds… Come along and join us and you too can be a part of our picture!